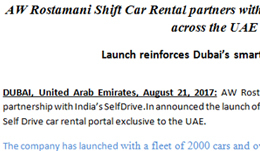 UAE being an extremely mature market and has extremely high potential of "On Demand" Self Drive rent-a-car and leasing. 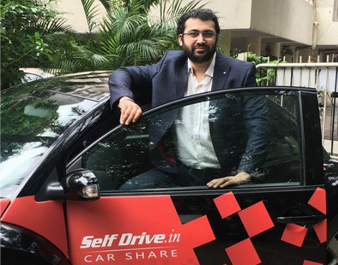 Pinewoods Technology Services (Dubai) is committed to aggressively invest in future driven Smart Mass Mobility Technology platform which would incorporate Self driving cars for safer passenger transport and Electric cars for clean energy driven cities. 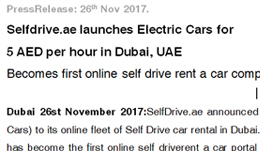 The company has launched its services via the web portal https://www.selfdrive.ae/ with the use of State of the Art Technology, App & seamless ground level operations, serving B2C with products like "Express Rentals" for on demand rentals and B2B with "Micro Lease" for long term flexi leasing options. 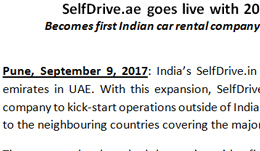 The Company in second phase of the launch will witness a roll out of another 3000 cars (in Q3 – Q4 2017-18) As well as in the neighbouring countries in Middle East covering the major GCC regions.